Fantastic performances all round and kudos to the following for PBs:- Dave Bartlett, Sharon Burfield, Helen Clayton, Helen Fairman, Nicola Gater, Julie Graham, Stuart Holbrook, Lucy Howard, Jacqueline Hudson, Laura Ive, Lina Johnson, Sarah Johnson, Jim Laidlaw, Lynsey Lightfoot, Patricia Marshall, Joe Poppa, Gerry Reed, Jenna Soane, Kim Soane, Katie Woolger, Harvey Young, Krzysztof Zielinski. A huge shout out must go out to the army of volunteers who turned out to help with car parking, number collection, the bag drop, the fun run, marshalling and all the other tasks that go into making it such a well organised and successful event! Gavin Loader was on fire at the Dinton Pastures 10k Last week bagging 10th position overall and a new PB of 38:41. Back to normal this weekend with all three local Parkruns open. Frimley Lodge was popular as ever with 547 runners in total and witnessed a trio of SJ PBs plus some excellent results. Dave O’Toole continued a super week finishing 63rd overall, 5th overall Age graded and 1st in the 65-69 category in 22:18 (Dave also finished 1st in the 65-69 category at the Guildford Sprint Triathlon on Sunday to round off an amazing week of racing!) Phil Guy led members home in only his second Parkrun with a great time of 20:20. Emy Circuit knocked an impressive 1 minute 36 seconds off her best time lowering her PB to 24:39. In his 116th Parkrun Simon Whillis recorded his best time ever with 25:49. We will hear more from Simon later in the week. Well done everyone! At Rushmoor James Ratcliffe was first SJ to finish in 12th position overall stopping the clock at 18:54 followed by Jim Laidlaw narrowly missing out on a course best by 6 seconds finishing in 20:50. Newton Johnstone and Elin Loftesnes both recorded seasons bests of 25:25 and 27:09 respectively. Over at Bracknell more PBs as Paul Biggs continued his return with his best time on the Bracknell course in 25:53 while Blanche Barnes recorded 34:20 for another Bracknell best. 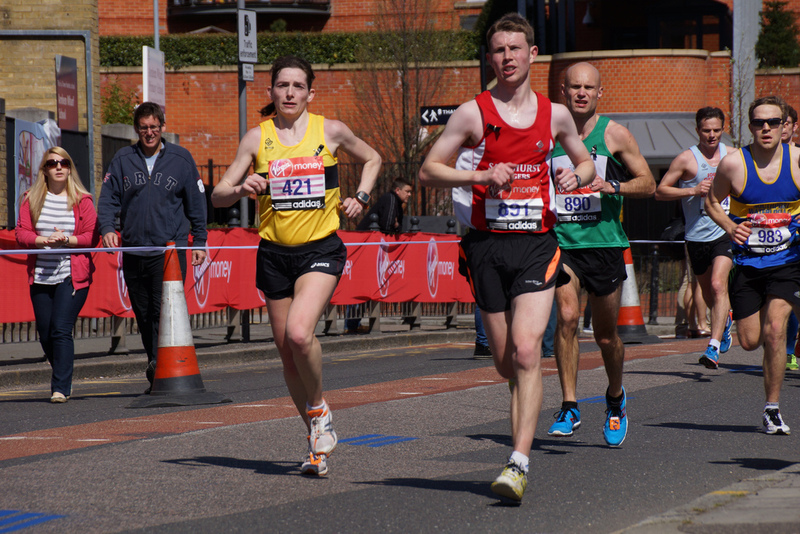 Martin Steadman continued his fine run of form finishing first for the club in 23:47. Plenty of Parkrun tourism this week with Stephen Casey clocked his best time in 2017 with 21:58 at Basingstoke while Gerry Allan continued a good week with a PB of 24:14 at Brockenhurst. John King made his second appearance at Queen Elizabeth Country Park and improved to 24:03. Richard Boese made a pre-Endure visit to Newbury to record a course PB of 24:12 and Yvette Glacken was in action at Luton Wardown. Don’t forget to add Sandhurst Joggers as your club in your Parkrun profile to help us keep track of your achievements. The big event of the weekend was Endure 24; the Glastonbury for runners, a 24 hour relay (unless you are George Green) around a 5 mile circult in the grounds of Wasing Park near Aldermaston. We had nearly forty members in action and more detailed reports to follow. In the meantime, here’s a quick summary of the weekend. The Ladies team ‘ran like girls’ and nobody could keep up with them taking the win by over two laps. The Men’s team battled bravely with the Bicester Tri Club but eventually had to settle for a still excellent second pace in the Men’s Eight category. The two SJ mixed teams had a close fight throughout the event with the Red Team narrowly beating the Green Team 32 laps to 31. Charlie St Aubyn teamed up with Louise Sibley in the pairs to finish in 7th position in Mixed Pairs. There was drama and courage in the Women’s Pairs for duo Sara Lambourne and Tracy Buck. Tracy had to retire early on but Sara battled on bravely with support from other clubmates eventually completing an incredible eight laps or forty miles. In the Solo category, George Green completed an astonishing seventeen laps to finish 28th out of the 118 solo finishers. Jenny, Richard and Trish also ran with ‘maverick’ non-SJ teams. Leon Hicks continued his quest with the aptly names Dragon Seeker Ultra, a 60km event from the Severn Bridge to Cardiff. Leon just continues to astound with these feats of endurance week in, week out. 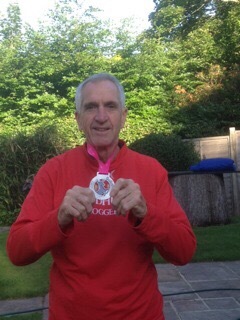 Tony Blackstone was the sole SJ representative at the Wargrave 10k but recorded a great result anyway stopping the clock at 47:41 which placed him third in the V60+ category. This week we had a new King of Strava with Jim Laidlaw topping the leaderboard with a total of 82.4km. Head of the Hook offshoot Lou Lamb was second with 82.2km and Charlie St Aubyn was third with 80.1km. As you can see it was tight at the top this week! Sixty-four members logged runs this week. To take part in this just create a free Strava account and link it to the club in your profile. Tuesday: There will be multiple groups running on Tuesday from Sandhurst Memorial Park this week starting at 6:30pm. Later the interval sessions will meet at The TYTHINGS in Yateley at 8pm where the session will be 5 x 3 minutes, 5 x 2 minutes, 5 x 1 minute. Wednesday: Handicap this week starting at 7:30pm from the Morgan Rec in Crowthorne. Come along and try to beat your previous best time (or if it’s your first attempt you are guaranteed a PB). Don’t forget the monthly curry at the Raj will be consumer afterwards meeting at 8:45pm. Thursday: This week the threshold/improvers run will be on the off road, Nikki will have more details later in the week and soon we’ll have a route schedule planned out.